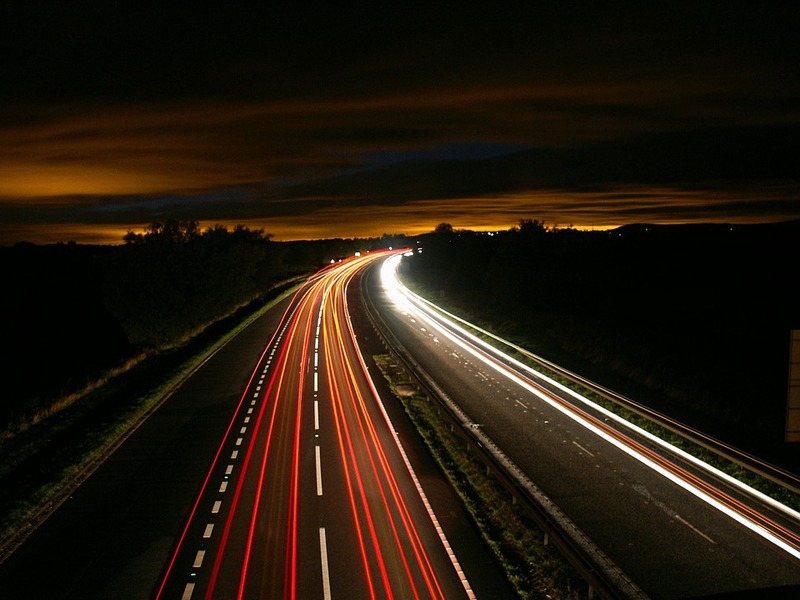 RussJones.Us: Life Is A Highway! This follows up to what I was talking about in yesterdays post. Why do we go from place to place, job to job or relationship to relationship? Why can't we be content with what we have? As I was driving to and from Alabama recently, I noted that some people were never content where they were at on the highway. The people in the far right-hand lane didn't look happy. The people in the left lane wanted to drive fast. Then there was the middle lane. Honestly, I don't think they knew why they were there. I don't know why, but people from Alabama think that they can get their full sized cars into the 3 feet between you and the car in front of you. I also don't understand why people from Ohio don't get the concept of "slower traffic keeps to the right". Of course, Florida drives haven't a clue what a turn signal is. So there we were, all of us doing our best imitation of NASCAR. Changing lanes and getting to our destinations as fast as possible. Isa 35:8 And a highway will be there; it will be called the Way of Holiness; it will be for those who walk on that Way. The unclean will not journey on it; wicked fools will not go about on it. At one point I was caught up in all of this, driving like everyone else, then it dawned on me. I don't have to be this way. #1 - I had a GPS that for the most part would get me where I wanted to go. #2 - I had plenty of time to make the trip. I wasn't on a deadline. #3 - I had a guaranteed hotel reservation. My destination was sure. How are you going to live your life today? #1 - You have a GPS, it's called the Word of God, the Bible. It's more reliable than the GPS on my wife's phone, believe me. #2 - You have today. Tomorrow is its own problem. You've got plenty of time to make this trip. #3 - If you already have accepted Christ as your Savior, then you know where you are going. Enjoy the trip there. God has so much to show you!